There are few home improvements that can accomplish the trifecta of better safety, lower energy bills, and improved comfort. Home window tinting, also known as residential window tinting, is an effective way to improve the quality of your home and your life. No matter how many windows you have or how much natural light your home receives, tinting your windows will transform your home. If you are looking for an experienced residential window tinting company, visit TintRite Window Tinting in St. Louis today. Our quick, efficient window tinting crew will give you a free quote if you call us at 314-558-5885. We all know how difficult it is to regulate the temperature in our homes. Whether you have a sleek, new thermostat or your house has little insulation, window tinting can offer a solution to costly energy bills. In the summertime, the sun beats down on your home. This creates a greenhouse effect in which heat enters your windows but then is trapped inside your house. As a result, many homeowners will crank up their air conditioning, costing them hundreds of dollars in energy bills. One incredibly simple solution is to tint your home’s windows. This reduces glare in all rooms with windows, making the temperature consistent. In the winter, your tinted windows will help insulate the heat generated within your home. With these benefits of window tinting, you can expect to see a reduction in your energy bill by 15 to 20 percent. Residential window tinting is one of the simplest ways of improving the energy efficiency of your home. Tinting your home’s windows can provide you with greater peace of mind. The Federal Bureau of Investigation reported that 60.5 percent of burglaries were caused by forced entry — breaking windows and doors. But before we go into how tinted windows actually stop forcible entry robberies, let us consider the preventative measures. If your home has tinted windows, it is more difficult to survey your house. Pedestrians and criminals won’t be able to see as well inside your house. As a result, a potential robber won’t be able to see what they might be stealing if they decide to break into your home. If a robber is not deterred by the reduced visibility of your home’s tinted windows, they may try to break the window. Because of the film on tinted windows, it is much harder to shatter the glass. The robber will have a hard time entering your home as the glass will hold together even if it is cracked. 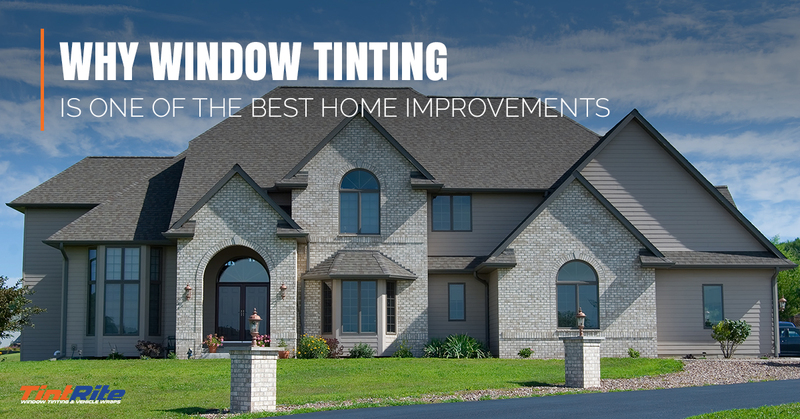 Tinting your home’s windows provide incredible benefits. Besides the energy efficiency and safety benefits, increased comfort levels in your home cannot be ignored. Watching television without an annoying glare from the sun is a huge plus. In addition, sunsets are more enjoyable and less blinding if you have tinted windows. If you are considering residential window tinting for your home, visit us at TintRite Window Tinting today. Our professional team strives to satisfy every customer’s needs. Call us today for a free quote on your home or auto at 314-558-5885.